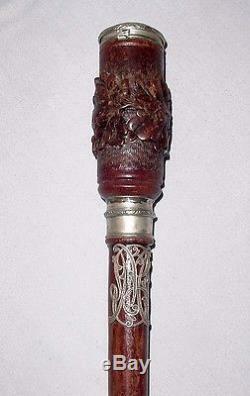 Old unique gadget walking stick. 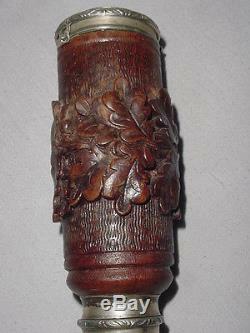 Handcarved in wood depicting leaves and fruit pattern on the handle and on a section of the cane as well. 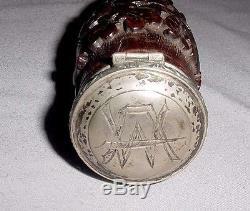 Silver top cap with monogrammed letters: "WA". 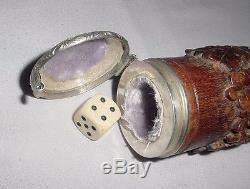 Once opened the cap inside the padded compartment of the hollow handle keeps a pair of game dices. 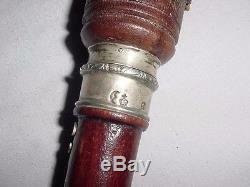 Silver collar with European hallmarks and seals: HALF MOON - IMPERIAL CROWN- OTHER SEAL. 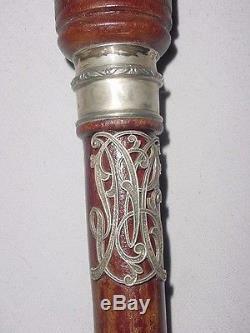 Silver inlay with ornate monogrammed letters. 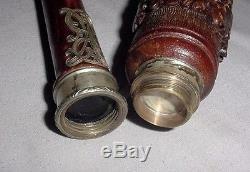 The handle can be also removed/dismantled from the cane and there's a hollow portion inside the cane to hide more game small objects inside. Lenght cane: 37.50 inches aprox. 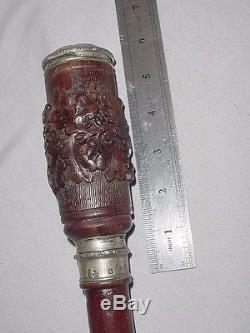 Lenght handle: 4.40 inches aprox. Diameter top cap: 1.60 inches aprox. Depth inside the top handle portion: 3 inches aprox. Dices: 0.50 inches each aprox. Width silver collar: 0.90 inches aprox. 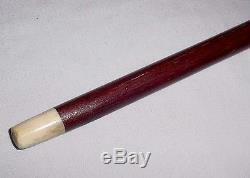 Middle section compartment (between the handle and cane): 0.80 inches diameter. The photos speak for themselves and are followed by the most detailed description possible. Were not experts in all fields, we describe you the items to the best of our knowledge. Both methods can be traced in their websites. 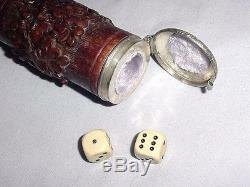 The item "OLD CARVED WOOD SILVER HANDLE SECRET BOX GADGET WALKING STICK with PAIR GAME DICES" is in sale since Wednesday, May 3, 2017. 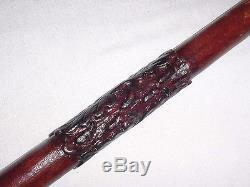 This item is in the category "Clothing, Shoes & Accessories\Vintage\Vintage Accessories\Canes & Walking Sticks". 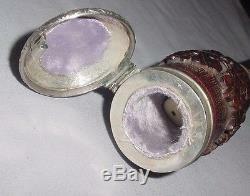 The seller is "divinnecollection" and is located in Buenos Aires.